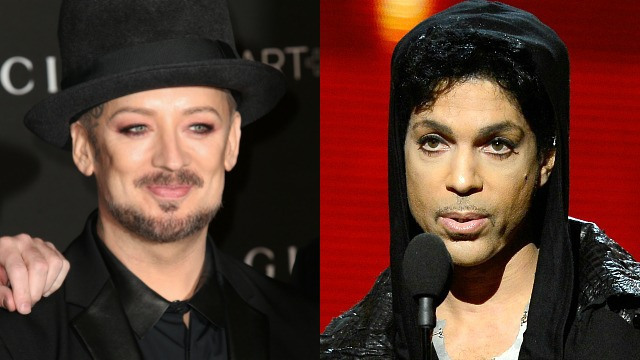 Controversy as Boy George says he slept with Prince in Alphabet street! 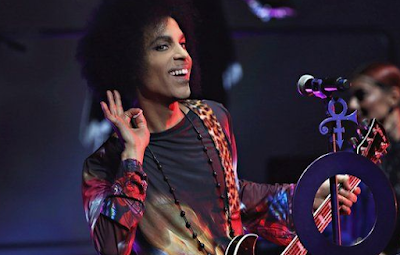 he has either done it to get publicity for him and the voice show,or they have heard from Prince's representatives and are trying to do damage control. Reports have claimed that George, 54, made the statement about Prince, 57, in front of a live audience as cameras were rolling. The musician's fellow judges – Will.i.am, Ricky Wilson and Paloma Faith – were discussing the impressive performers they've worked with over the years when Faith mentioned collaborating with Prince. Then the Culture Club singer took it a step further. "He just went, 'Oh darling, I've slept with him,'" the spokesperson said "He went on to say that he had Prince posters on his wall as a kid. He was never being serious." The reps insists the "whole drama of the show coming to a halt didn't happen at all." But personally i don't think it happened,the Culture club singer is not a man who keeps secrets,he is terrible with secrets,remember how he kept on about George Michael being gay right from the 80s when George was denying it? 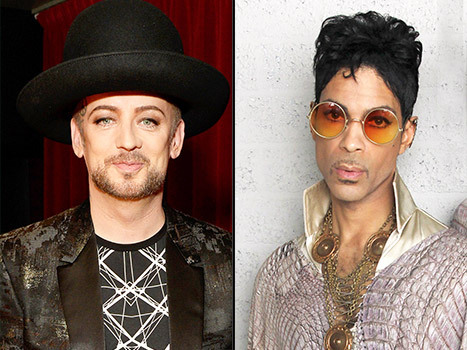 We know how that turned out later.Boy George and Prince is a secret he would not have been able to keep if it were true.He would revealed this ages ago if it was indeed so. Meanwhile,Prince and his reps have yet to make an announcement on the revelation. Naughty me though,i couldn't help but imagine the soundtrack if the two really do or did get together.Who would be wearing the raspberry beret? I wonder who would say the words if i was your girlfriend i'll tumble for ya cos you're the most beautiful girl in the world! The names will have to change round though,cos now it should be the English singer and the revelation.And all he will be singing is I wanna be your lover,so do me baby cos Nothing compares to you! But one this is certain,somebody would be asking,do you really want to hurt me?